We are a group of young people active in youth work. The members are mostly the students at universities and unemployed young people who involve in local or multicultural activities and exchanges in order to improve themselves and also to stimulate the entrepreneurship among young people. Some of the main objectives of our group are to explore the diverse of Europe and to ensure the European context the youth live in, to challenge prejudices, combat racism and xenophobia,to foster intercultural understanding and tolerance of young Europeans, to show the people the similarities and differences that exist between different nations. Tolerance is also one of the selected subjects for the activities that are carried out by young people and they are as follows; discussions, workshops, cultural and country presentations. 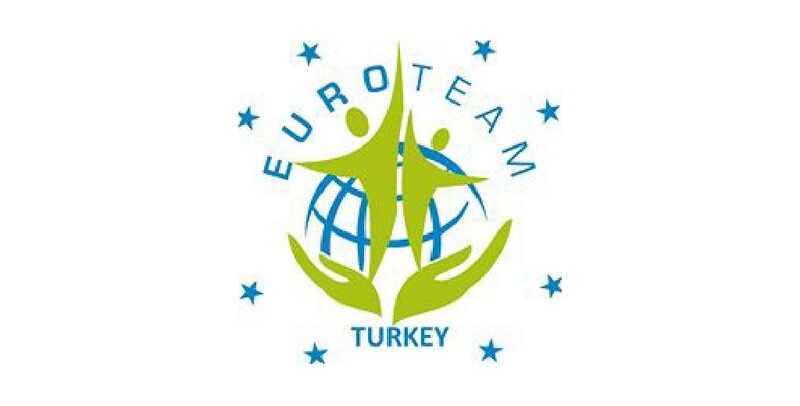 As Euroteam Turkey, we hope to gain international experiences collaborating with the organizations which participate in the European or Worldwide projects and continue relationships with the young people and enable them get to know each other, each others’ culture, country, language and customs gaining more knowledge during the youth exchanges. Because our members know that many citizens and especially teenagers across the Europe generally have limited awareness of their own culture. They often have little knowledge of the role of the European Union and many of its member or candidate states. We also know that prejudice is fed by ignorance. Therefore, we aim to involve our participants in an exchange of culture and national identity in order to break the barriers and dispel national prejudices. Our group will be associated partner in this project. We will be in a stable contact with beneficiary organisation in order to organize a distinguished project. We will be contributing to the project on its every stage, from consultation the project idea through preparation and project implementation until the evaluation and dissemination of the project results. Some of the skills and expertise of our members / leaders involved in the group are teaching social and educational issues; organizing and managing the local, national and international programmes, projects for the youth. Our members will be able to offer their pedagogical skills, language, IT, social, communication and other competences so that the project could be enriched. Our participants will have knowledge of both formal and non-formal education and experience at project work with young people. We will involve the participants who have already taken part in either youth projects or training courses so that they could share their experience with other participants. Miss. Yağmur Yanbul, Mr. Deniz Doğan and Miss. Nazlım Yaren Başoda are the active members. They joined the Erasmus+, Youth workers project, 2015-2-UK01-KA105-014041 in London in 2016.